This is something on my own wish list for Diving Log for a very long time and I’m really glad that this is now finally included. 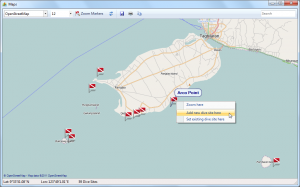 You were already able to view your GPS enabled dive sites in Google Maps and Google Earth for a long time, but now there is also a build-in map experience which allows some nice things not possible in the existing mapping tools. 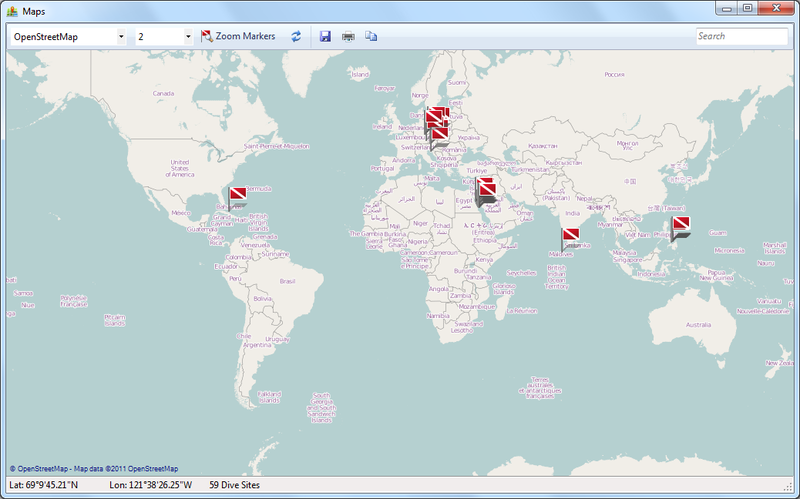 The dive site map displays all your dive sites with GPS coordinates from your logbook in the map. 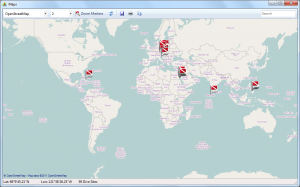 The search box allows you to quickly filter the displayed dive sites and the “Zoom Markers” button zooms and centers all displayed sites. 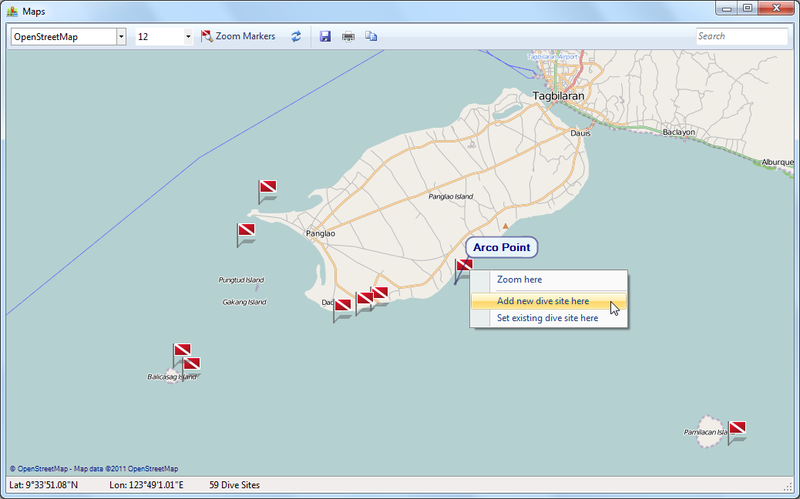 When you right click into the map, you can add a new dive site at this position or update an existing dive site position (geo tagging). When you click on a flag, the dive site details window opens. You can use the scroll wheel on your mouse or two fingers on a touch screen for zooming (pinch-to-zoom). And in future even more features will be possible, e.g. trips integration. This entry was posted on Saturday, December 3rd, 2011 at 1:27 am and is filed under Diving Log 5.0. You can follow any responses to this entry through the RSS 2.0 feed. Both comments and pings are currently closed. Will Google Maps be added to the built-in map? I’m sorry, Google does not allow the usage of their maps data in this way, so I cannot officially add it.